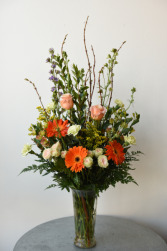 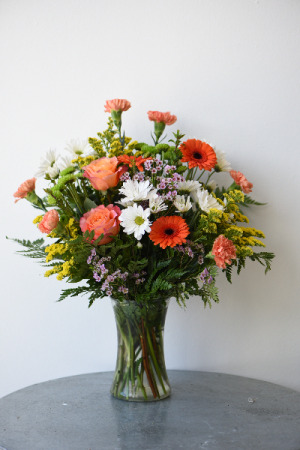 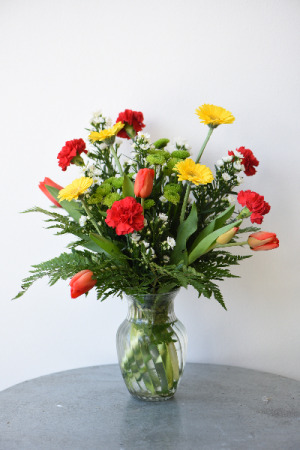 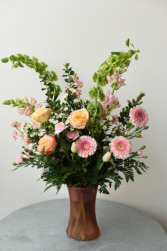 A striking combination of red, orange, yellow and green: tulips, carnations, mums, and gerbera daisies. 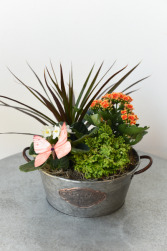 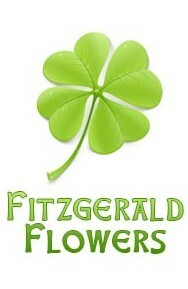 Lovely metal tin with an assortment of blooming and green plants. 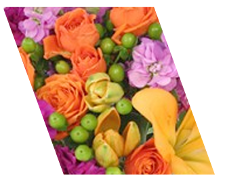 Colors and varieties may differ. 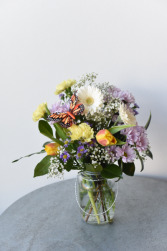 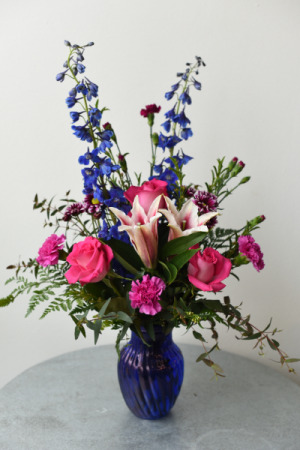 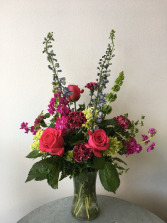 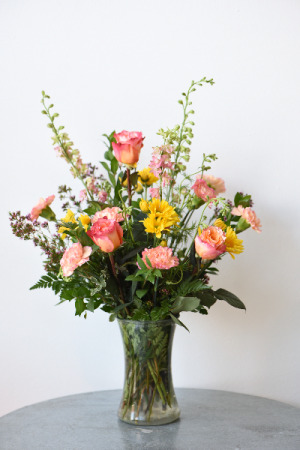 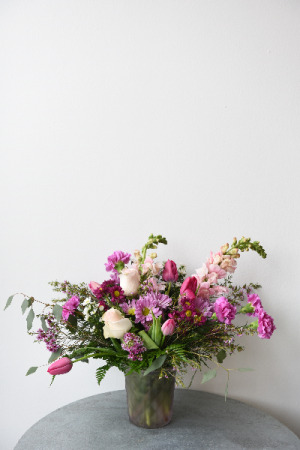 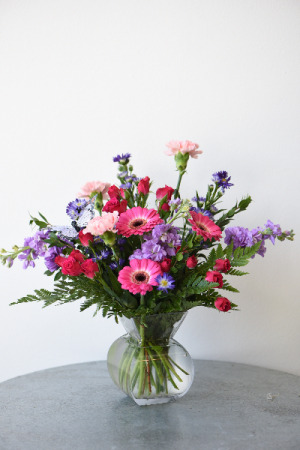 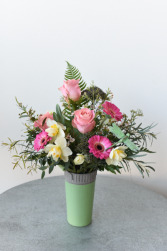 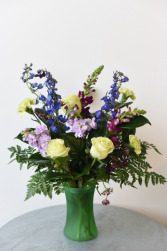 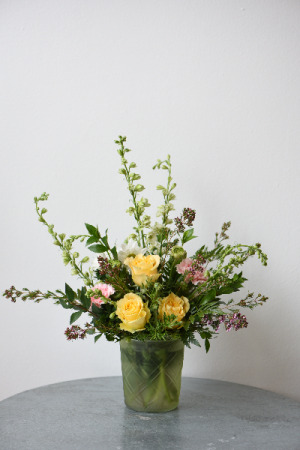 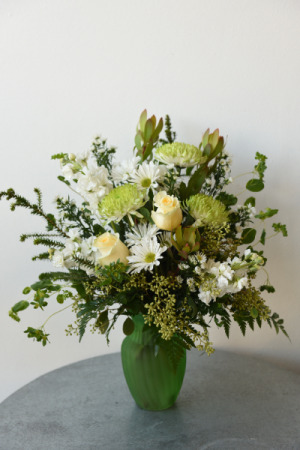 Plain glass gathering vase filled with a vibrant combination of carnations, roses, daisies and larkspur. 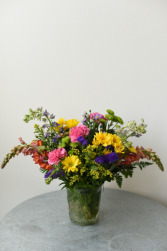 Purple, pink, yellow, orange, green, this bouquet has it all! 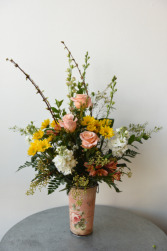 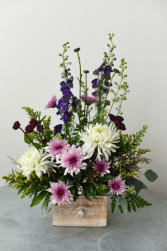 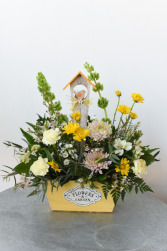 Daisies, snap dragons, mums, larkspur, carnations and fillers. 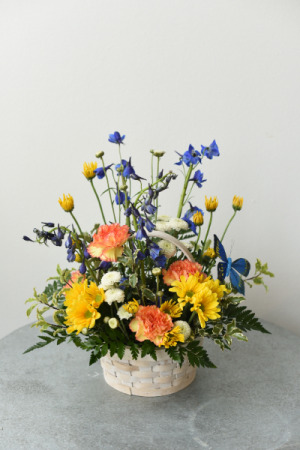 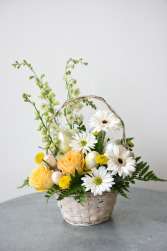 White wicker basket with daisies, carnations, and a pop of blue!